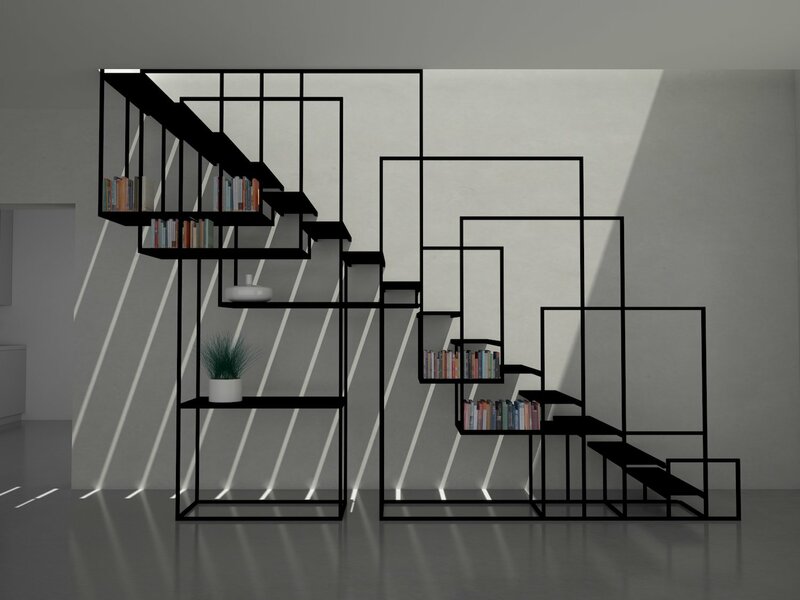 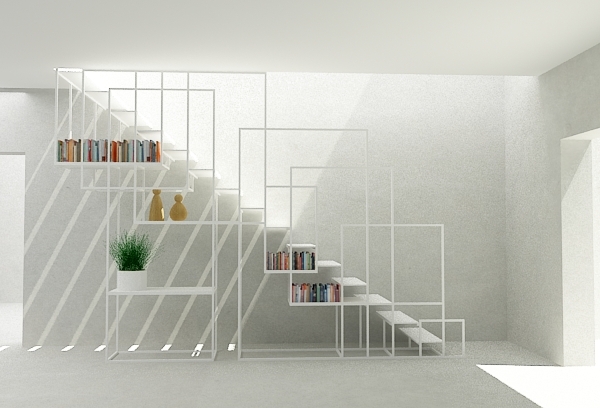 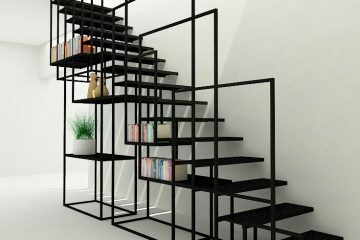 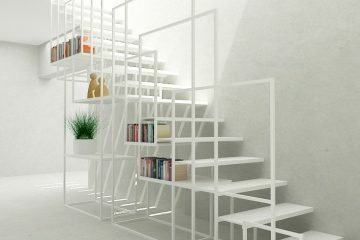 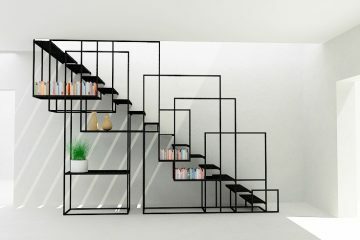 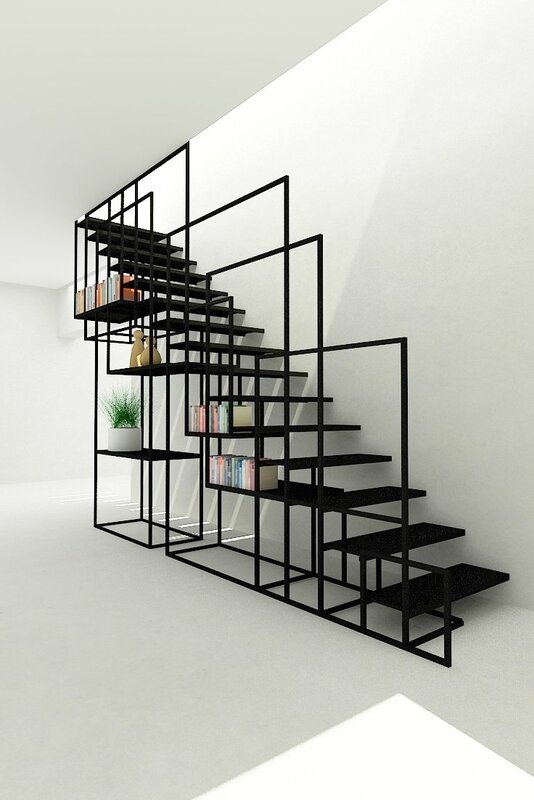 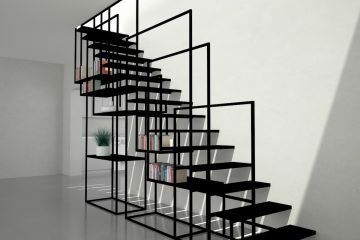 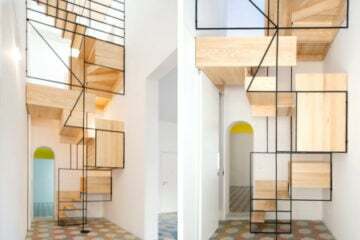 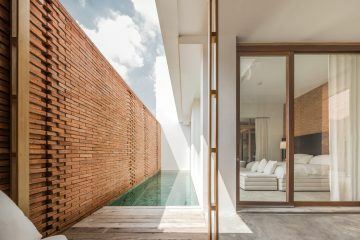 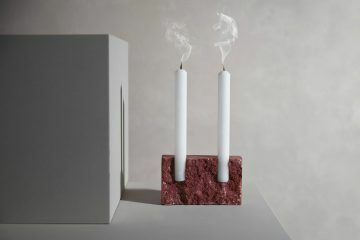 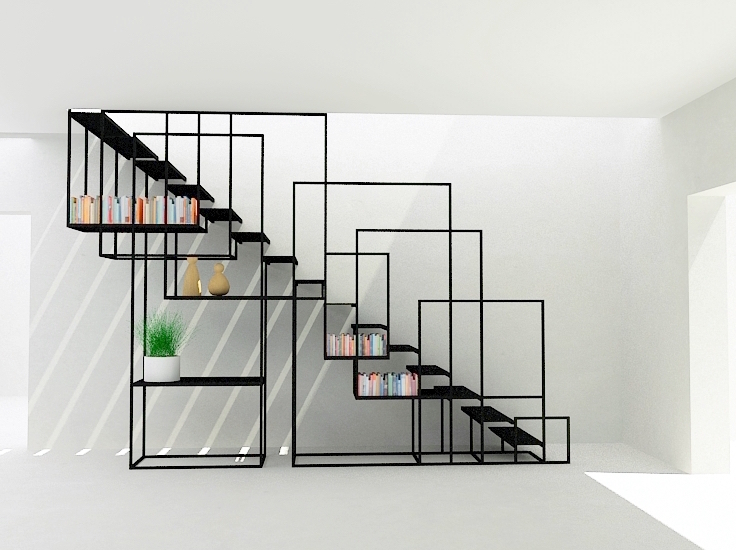 Designed by Amir Zinaburg, the metal Square Staircase owns an elaborate design with a clever storage system. 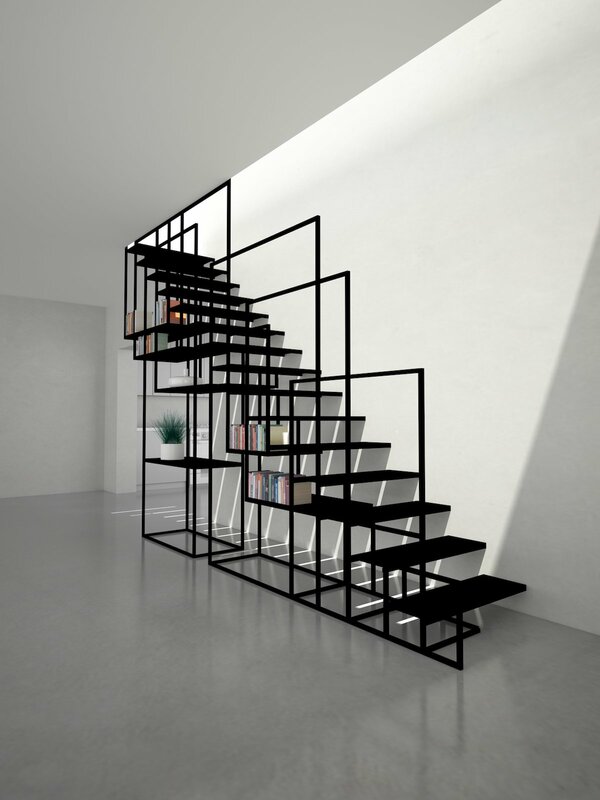 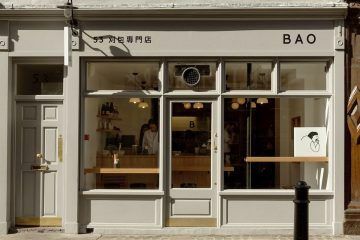 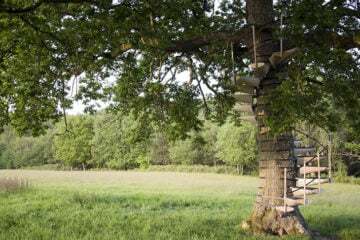 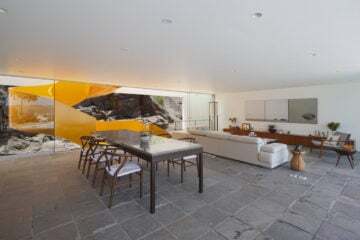 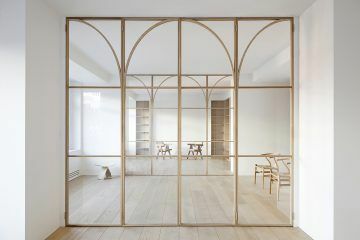 Produced by the manufacture Design and Weld Limited, the unique banister was built by order of a private client in Islington, north London, in 2015. 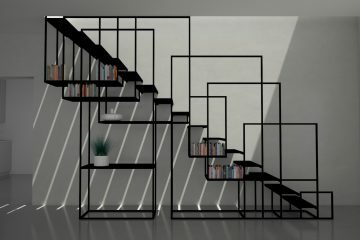 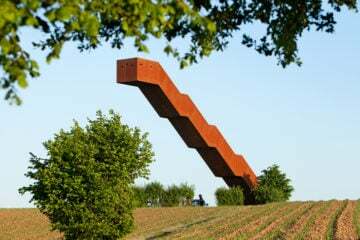 The stair-rail is made of laser-cut mild steel to assure maximum precision that serves as a handrail made of square frames. 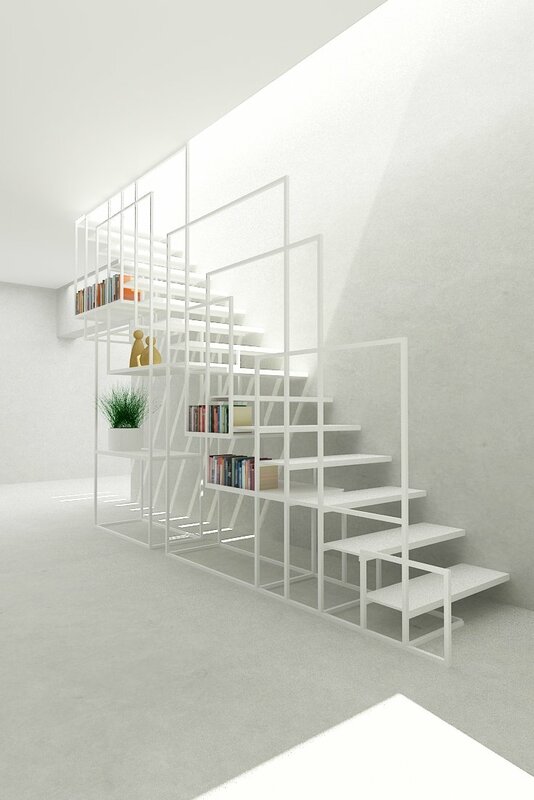 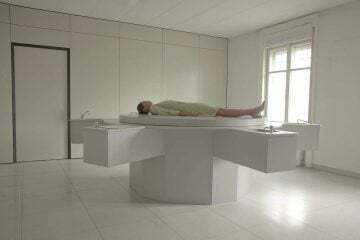 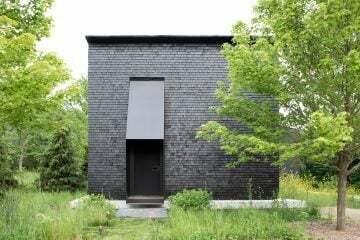 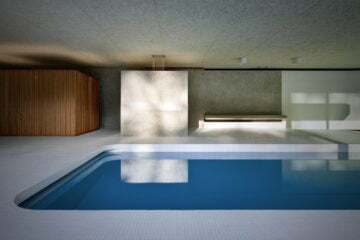 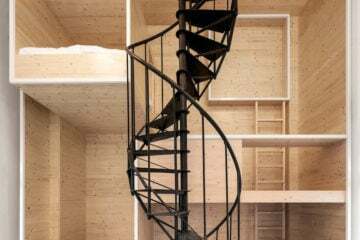 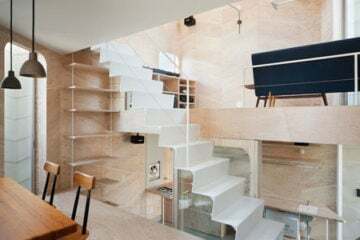 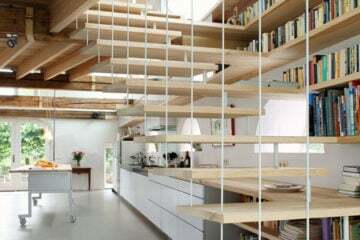 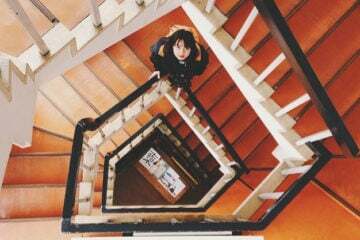 Besides, the plain staircase has a smart and minimalist structure and can be used to store away everyday items.